(NEWSER) – Kids aren’t exactly picking a book off the shelf before snuggling under the covers these days. 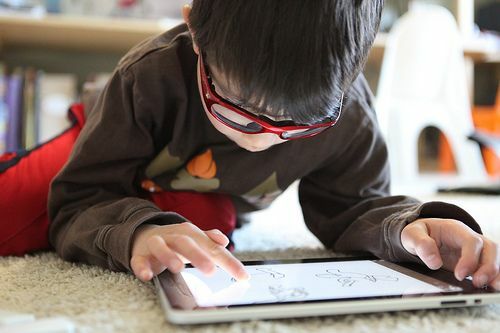 SmartMoney reports on the trend by way of the UK, where a survey found that almost a full half of parents say they now read to their kids via e-reader or tablet (or hand the device to their kids so they can do their own reading). The stats exist to back it up: Revenue in the juvenile e-books category (that’s books for those under 18) exploded 233% in Q1 to $64 million. “It’s the fastest growing category in trade,” says an Association of American Publishers rep. The wee ones may be be leading the charge: A US survey of tweens and teenagers found that the over-13 crowd still tends to prefer paper books, but those between 7 and 12 consider e-books “fun and cool.” SmartMoney looks at what’s fueling the change. Kid’s books finally translate well thanks to last year’s debut of the Kindle Fire and Nook Color; the devices allow kids to hear stories read aloud even when mom and dad aren’t around; and e-books are cheaper (an average of $4.57 versus $8.29 for a paperback). This entry was posted in Uncategorized and tagged association of american publishers, childrens books, ebook publisher, ebooks on July 19, 2012 by First Edition Design Publishing.